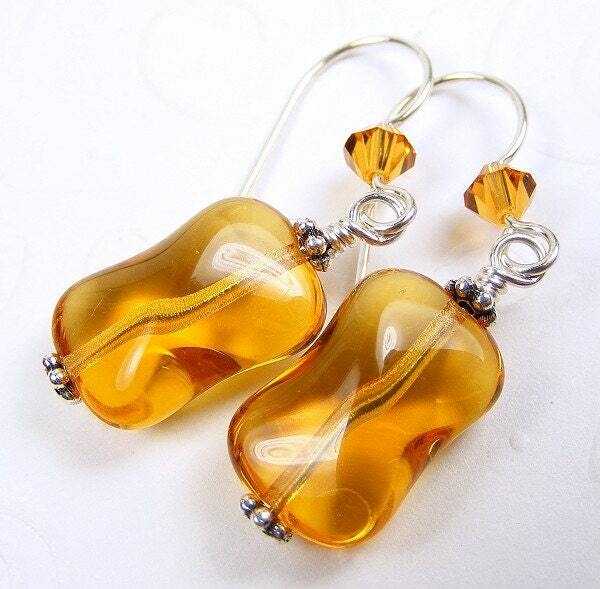 Colorful twisted rectangles of pressed Czech glass in sunny topaz. Very lightweight and bright for a great pop of color! The sterling silver-filled French hooks have matching Swarovski crystal beads. Length: 7/8 inch excluding ear wire; 1-1/2 inches including the ear wire. These are available in lots of other colors, including green, red, purple, clear, gray, and sapphire blue. Please convo me if you'd like a different color.